Select Show tabs at the bottom in the context menu. The tabs will move to the bottom of the page and their color will match that site's favicon . To move the tabs back to the top, right-click on a tab and select the Show tabs at the top command. Create tab — click . Open tab in background — open Tableau, press Ctrl and click on a site in Tableau. Open a recently closed tab — open Tableau and click Recently closed under Tableau. Or right-click the tab and select Open recently closed tab in the context menu. Go to the top of the page — To quickly navigate to the top of the page, click a tab. To go back to the original position, click the tab again. Refresh tab — Click on the left side of the SmartBox. Move tab — Click and hold the tab. Then move it to the left or right. Pin tab — Right-click the tab and select Pin tab from the context menu. Copy tab — Right-click the tab and select Copy in the context menu. Print tab contents — Right-click the page and select Print from the context menu. Close tab — Hover your mouse over the tab title and click the icon that appears. Close all tabs other than the selected one — Open the context menu and select Close other tabs. There is no limit on the number of tabs you can have open in Yandex Browser. However, having a lot of tabs open can overload your computer's processor and memory. Note. Users may have several dozen tabs open simultaneously in the browser. 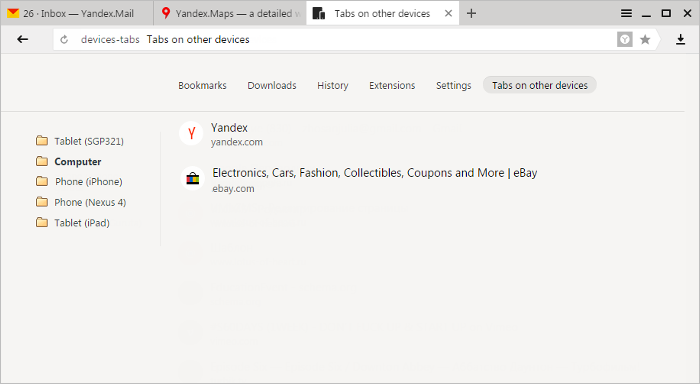 However, when you launch Yandex Browser, it doesn't load more than 10 tabs so that your computer's memory and resources will not be overloaded. Furthermore, it loads them consecutively, rather than simultaneously. Videos and flash content will only start playing in the active tab. Under Minimum tab size, choose Tiny. If you have two computers — a work computer and a home computer. For example, let's say that you looked at a website on your work computer and didn't close the tab. When you're back at home, you can just open the tab and continue working. If you have a mobile device and a computer. For example, you might find an interesting website on your smartphone or tablet and decide that you want to view it on a larger screen. 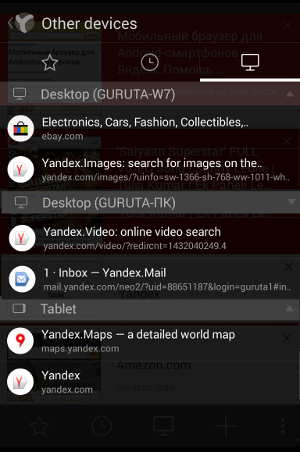 All devices (computer, smartphone, tablet) must have Yandex Browser installed on them. You must have syncing enabled on all your devices. 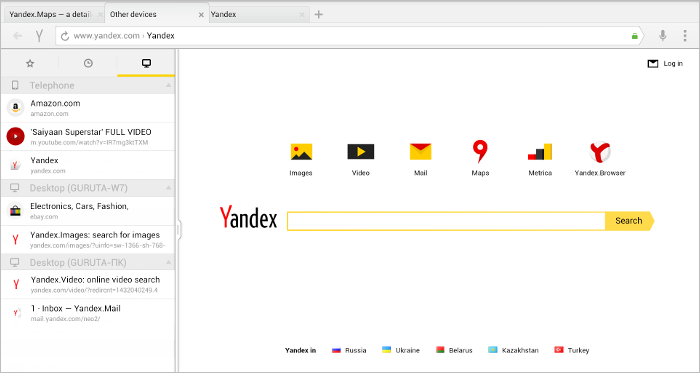 You must use the same Yandex account on all the devices you want to sync. In the SmartBox, enter browser://tune. Tap on the right side of the SmartBox. Tap on the tabs panel. Tap on the left side of the Tableau. You can use the task manager to close incorrectly operating tabs and view Yandex Browser performance statistics. To open the task manager, click → Advanced → More tools → Task manager. Go to Programs → Programs and Features → Uninstall a program. 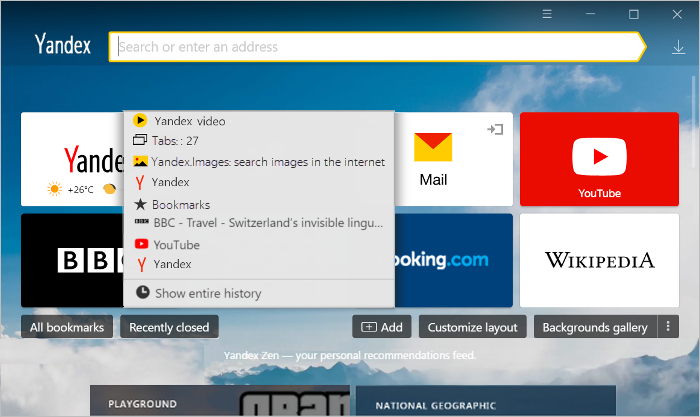 In the Uninstall or change program window, select the Yandex program. Click the Uninstall button at the top of the list. In the window that opens, click Delete, but do not select the Delete browser settings, browser history, and other data? option. 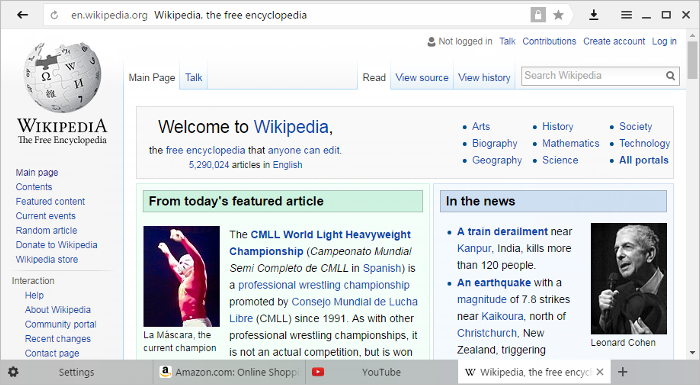 The browser will open with the tabs that you had open previously. What if I already deleted my browser data and settings? Turn on syncing to transfer your history from the server to your computer. Click the SmartBox and go to the Recently closed tab that appears underneath it. In the On startup section, select the Continue where you left off option. Click the icon to the right of the tabs. Above the Tableau, click Recently closed. Tabs for browser sessions that were recently closed are grouped and displayed as . The number of tabs in the session is indicated next to it. When you click this icon, all grouped tabs will open in a new browser window. To view your complete list of recently closed tabs, click Entire history at the bottom of the page. If you enabled syncing, you can access the tabs that were open on your computer before you reinstalled your system. The syncing process is linked to your device name, which typically changes when you reinstall your OS. When you sync your computer using a new name, the browser thinks that it is a new device. That's why the Other devices tab displays a folder with your computer's old name. In this folder, you can view previously opened tabs in the Open sites section under the list of websites on the Tableau. Go to the Other devices tab. Open the folder with your computer's old name. 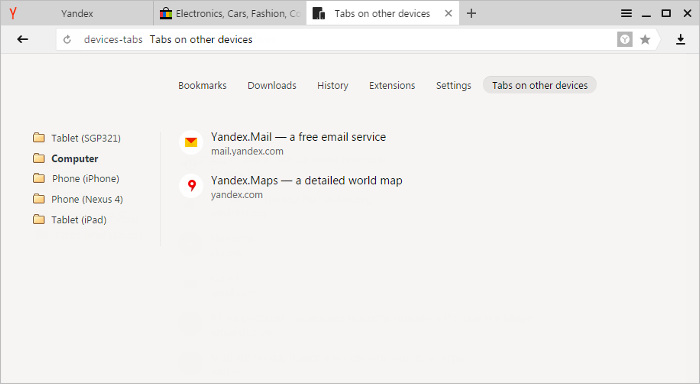 On the Tableau, in the Open tabs section you will see a list of tabs that were open in Yandex Browser before you reinstalled your OS. Tip. To open all the tabs of the list at the same time, click the header of the Open tabs section. If your computer's name doesn't change after you reinstall the OS, you won't see this folder (since the browser will not think that your computer is a different device). You can rename your computer (go to Control panel → System and security → System → Advanced system settings → Name of computer) and then wait a bit for your data to sync with the server. Go to the Other devices tab and open the folder with the old name of your computer.